Whether you’re a new mum, trying for a baby, or you’ve had a baby and are trying to get back into pre-pregnancy shape, pelvic floor exercise is a really important part of your health regime, every step of the way. Kegel8 Mother Nurture is your 3-step companion through pre-conception, birth and beyond. Mother & Baby Magazine tells how a “Kegel8 Mother Nurture pelvic floor toner helps strengthen your muscles before pregnancy” which is a really important part of getting in shape ready to carry your baby. Normally, the pelvic floor holds around 20lbs of weight as it supports your pelvic organs, but during pregnancy, this greatly increases, and strong pelvic floor muscles will not only help your body to cope with carrying a baby, but also help reduce the risk of pelvic floor dysfunction after you’ve given birth. Kegel8 Mother Nurture is a fantastic labour TENS device, designed to help offer drug-free pain relief during childbirth, and even features a boost button to deliver extra painkilling power during those contractions. Mother & Baby Magazine say how “Kegel8 Mother Nurture… rebuilds muscle strength after you’ve given birth” and the great thing about it is that it works in just minutes a day – let Kegel8 Mother Nurture look after you while you’re looking after your baby. Mother & Baby Magazine points out how “an electronic toner targets 90% of the muscles you need to work, making them more effective”. It’s very common to experience leaks after having a baby, but Kegel8 Mother Nurture makes it easy to treat the leaks and help you to get back in pre-pregnancy shape in no time. For more advice on pelvic floor exercise in pregnancy, you can download our Kegel8 Exercise Guide for Mums, with pre- and post-natal fitness expert Jane Wake here. 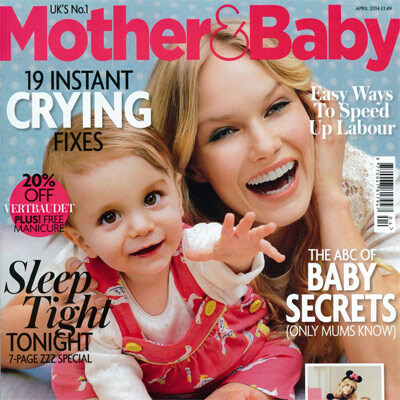 See Kegel8 featured in the April 2014 issue of Mother & Baby Magazine, on sale now.